As towns and suburbs continue to expand, Australians are becoming increasingly aware of the need to somehow maintain biodiversity. Many believing that in our increasingly urbanised lifestyle, we can’t just be defined by what we build, we also need to be defined by what we conserve. This growing grass-roots demand has seen local governments adopt conservation and rehabilitation programs linked to development consent. Today, many councils also run their own bush regeneration programs as well as supporting local, volunteer bush care groups. The work of landscape professionals has been influenced by this movement, from requirements in the selection of appropriate native species for urban landscaping through to the construction of major works such as bank and slope stabilisation. 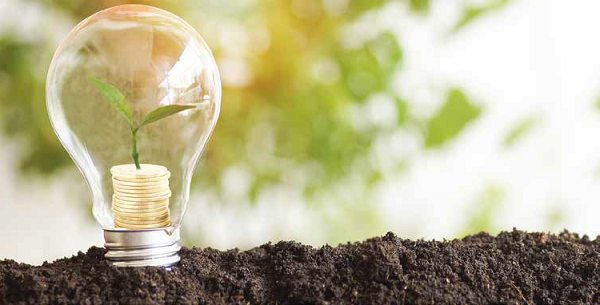 Increasingly, landscape companies are also becoming involved in the management of regeneration projects on rural land and around the urban fringes. Bush regeneration involves the ecological restoration of remnant vegetation areas by minimising negative impacts, particularly exotic weeds and erosion. In the 1970s, the Bradley sisters were one of the first to document their work in bush regeneration. Through trial and error, they developed a system of methodically clearing small areas of weeds in and around healthy native vegetation, allowing the bush to recover and out-compete any foreign invaders. Their physical approach was labour intensive and depended upon the resilience of the bush in the target area. Resilience being the capacity of an ecological system to be able to respond to an outside influence, essentially, having enough in-situ seed banks to be able to recolonise a disturbed area. Since the 1990s the trend has been towards a greater level of ‘appropriate disturbance’. The native regenerators’ toolkit has expanded from the loppers and saws of the Bradley’s, to replanting, herbicides, mechanical clearing and even fire. In areas of low resilience, where regeneration of the original eco-system can’t be guaranteed, rehabilitation is undertaken incorporating replanting and direct seeding. The aim is to try to bring the ecosystem back towards its pre-European balance with success depending upon the selection of appropriate local species. Although native plants can occur over a broad geographic range, different populations of a species may become specifically adapted to local conditions. These local genetic variations are known as provenances. Today, specialist growers are able to provide provenance stock for replanting projects by sourcing and propagating material from a particular local ecosystem. To avoid inbreeding, material is collected from an entire local area rather than just one isolated remnant. Provenance has become one of the holy grails of bush regeneration as planting species with local genetic variation creates a healthier ecosystem of plants that are better able to adapt to changes in conditions in their local area. Bush regeneration can be labour-intensive, hard slogging work and the bush regener’s tool kit tells the story. Bush regenerators carry a boning knife for crowning (cutting out the growing point or crown of weeds such as asparagus fern as well as many of the tussock grasses). Many regeners are now changing over from boning knives to Japanese soil knives or ‘Hori Horis’ that cut as well as doubling as a narrow weeding or planting trowel. 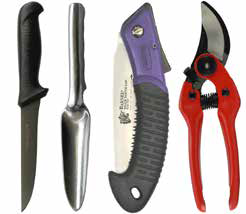 A saw, secateurs, loppers and a small pouch containing a herbicide bottle are used to eradicate weeds using the cut and paint method. This method involves cutting woody weeds low to the ground and immediately applying herbicide around the edges of the cut. The Swedish-made Pottiputki tube planting system when combined with a planting belt or tray carrier, ensures the fastest possible hourly planting rates of tubes and hiko cells. For smaller projects, the Australian-made Hamilton Tree planter is engineered in a range of heads that dig a hole the right shape and depth for a particular tube size ensuring no air pockets around the cell and higher survival rates. Personally, I’ve found this tool invaluable when planting hikos of aquatic species along the sides of dam walls. In large-scale rehabilitation projects, getting the job done fast while ensuring high survival rates is essential. Products such as advanced jute weed mats pinned down at planting stop weed competition, reduce evaporation and retain soil moisture. Tube stock needs to be protected from vermin and wildlife attack as well as herbicide drift during the establishment/ maintenance phase. On projects running on a tight budget, tree guards made from surplus, recycled milk cartons are the cheapest. Yet, the options are endless, with the highest survival rates being guaranteed by planting appropriate species combined with a plant pill fertiliser and water crystals protected above-ground by a plastic sleeve guard held in place by bamboo stakes over a jute weed mat! Forestry mulchers may need to be deployed where the bush has been completely overrun by invasive species or where there is a need to clear for asset protection zones or right of way. 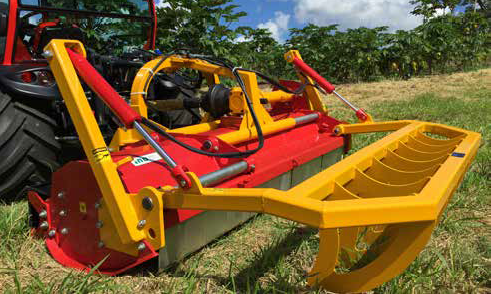 This one single machine uses a rotary drum and steel chipper flails or ‘teeth’ to cut and grind vegetation, leaving it behind as mulch. Australian company, EZ Machinery manufactures a range of forestry mulchers that can be attached to either an excavator or skid steer. The use of herbicides has increased in bush regeneration work as a way to eradicate a particular target species within the ecosystem as well as in broad scale applications against large weed infestations (i.e. blackberry in Victoria and lantana in NSW). Many of the chemicals used have come across from farm usage, particularly in the control of ‘woody weeds’. Vigilant II gel has now proven itself highly effective when applied to woody weeds such as privet and gorse as well as rhizomes such as agapanthus. A number of additives or adjuvants can be added to the herbicide mix, including penetrants to increase effectiveness against weeds with wet, waxy or hairy foliage as well as dyes that assist in clearly identifying sprayed areas. It can be difficult to source specific chemicals in the quantities required. 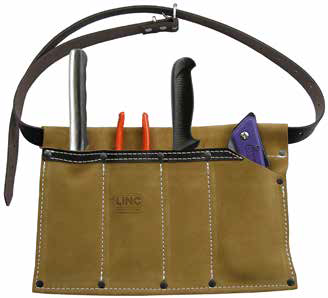 Specialist Sales online store provides a wide range of rural merchandise with delivery available Australia-wide. Chemicals can only be used on the specific weeds and at the application rates registered with the APVMA and listed on the herbicide label. Poor weed management techniques can cause invasion by other undesirable species, damage to native communities and even disrupt regeneration. While poorly planned and implemented planting will result in the establishment of an ecosystem that is not viable and self-sustaining. Regeneration works also involve a myriad of Acts, regulations, planning instruments and guidelines. So, as always, it pays to seek assistance and advice from the professionals in this highly specialised field. Large bush regeneration projects begin with ecological assessments. Environmental consultants with a university background in environmental science, conduct flora and fauna surveys and ecological mapping so that a vegetation management or ecological restoration plan can be developed. Implementation is then carried out by bush regenerators whose minimum qualification is a TAFE Certificate in Conservation and Land Management. The growing demand for conservation gives landscapers an opportunity to be involved in creating landscapes that truly give back to the natural environment – not just paving and retainers but also native trees and whole ecosystems.